Hyundai Motor India Ltd. has won the most coveted Indian Car of the Year 2014 (ICOTY) award for the newly launched Grand. Grand has created a new benchmark in terms of quality, features and technology offering higher value proposition to Indian customers. Grand has earned the country's highest automotive award in the most competitive and rapidly growing automobile Indian market. The ICOTY award has been instituted by the jury of Senior Editors of all the prominent automotive publications in the country like Top Gear, Auto India, Motoring, Car India, Overdrive, Auto Bild, AutoX, Hindu Business Line and EVO. "We are honored to win the most prestigious automotive award - The Indian car of the Year 2014. The Grand is a world-class product developed for the Indian market and winning the ICOTY 2014 marks its phenomenal success. 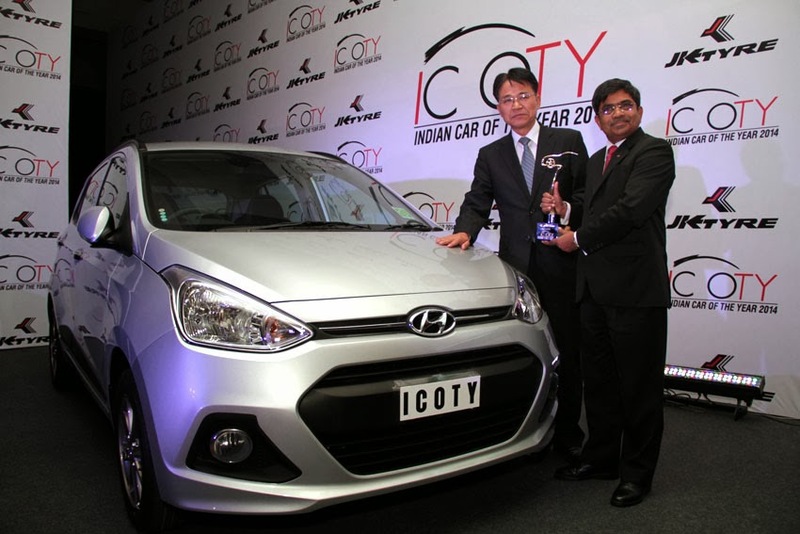 The ICOTY 2014 symbolizes Hyundai's commitment to Indian customers by offering high standards of quality, durability and reliability. Grand has consolidated Hyundai's its position as a trendsetter and leader in the premium compact car segment. We are humbled by the overwhelming response and appreciation Grand has received by the customers, media and jurors. We thanks our customers for making Hyundai Grand a grand success," said B.S. Seo, Managing Director & CEO, Hyundai Motor India Ltd.